Recruitment is a tough industry to work in, so having a professional and adaptable site is a must. 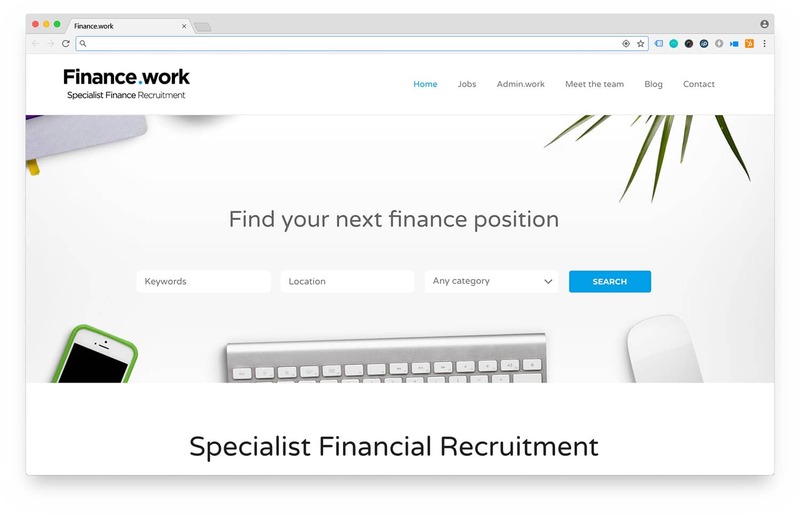 The website we created for Finance.work allows them to manage jobs in-house via a plugin for WordPress, quickly and efficiently. The premium theme used for the website was actually tailored towards recruitment, making the process of setting it up more time and cost efficient.